Well, we got no rain but at least it looks like we are on a cooling trend for a bit. 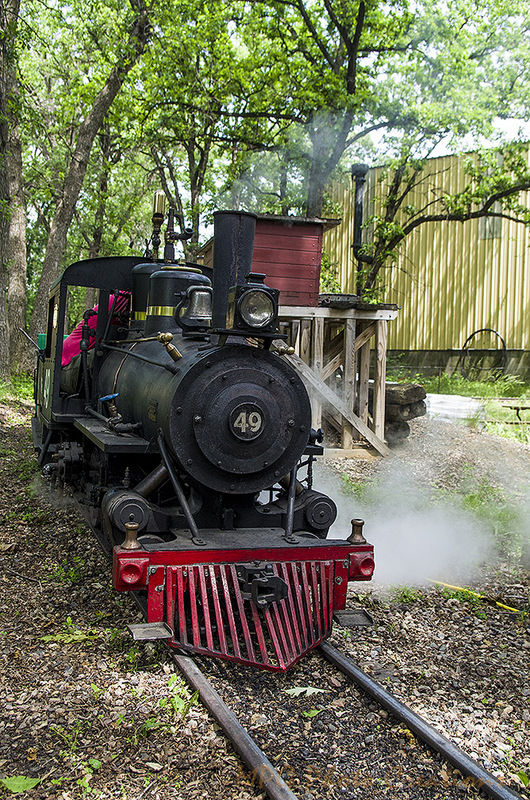 My image for today is of the Wagner locomotive that I help operate up in Rollag, Minnesota. 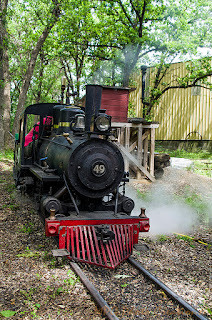 It was Steam School this past weekend and we had it steamed up so students could operate it if they wished. While I was taking this photo, a young guy that works with us and has a good knack for operating was running it. He is going to make a good engineer when he is old enough to get his license. In this image the train is about to come to our station just past the Roundhouse that is currently being built.